This year’s edition of the Salon International de la Haute Horlogerie 2017 (SIHH 2017) has drawn to a close, leaving behind a trail of spectacular new watches for 2017. As the first large-scale watch exhibition of the season, SIHH usually sets the tone for the coming year of what to expect in the fine timepiece space. And from what we’ve seen so far, it’s going to be an exciting one for watches. 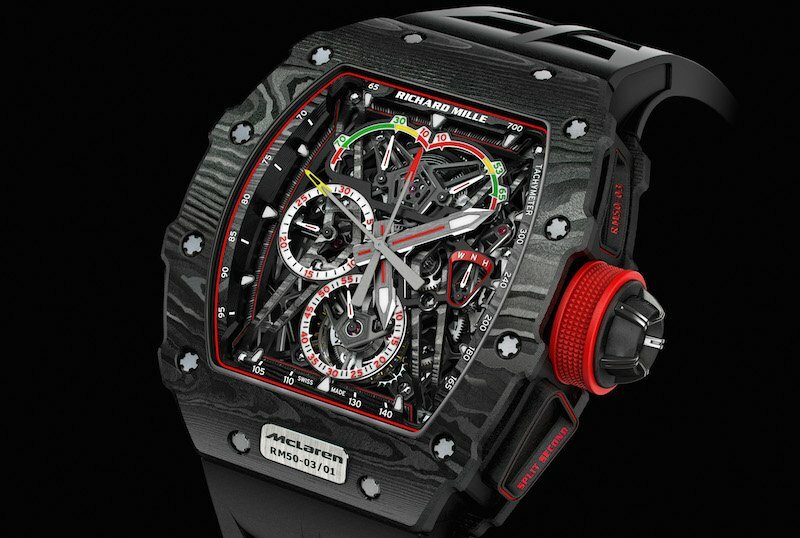 Among the new high complication timepieces, watches with new state-of-the-art materials, revival models, and others. We had our expectations for the watches at SIHH 2017, but we were blown away. Here are our top five picks from SIHH. Although the look of the Panerai Luminor has remained relatively unchanged since the 1950s, this particular model radiates a futuristic vibe. By merging old school aesthetics with cutting-edge materials such as carbon nanotubes technology and carbotech, Panerai has produced a seductive watch indeed. The mammoth 49mm case is constructed from a carbon fiber composite dubbed carbotech, while the black dial is blanketed with carbon nanotubes. The blue Super-LumiNova on the dial and matching blue stitching on the strap is particularly attractive against the dark look of the watch. Aside from the striking exterior, the Panerai Luminor 1950 Carbotech PAM00700 also boasts the hand-wound Caliber P.3001/C movement that requires no lubrication. The Panerai watchmakers are so sure of their in-house movement that the new PAM00700 comes with a 50-year guarantee. 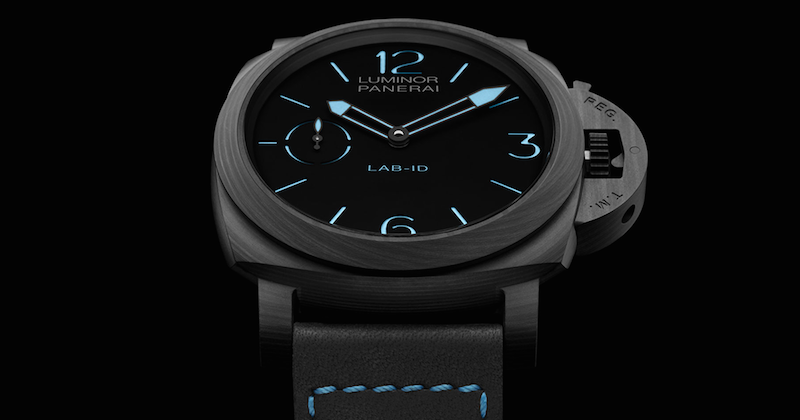 Limited to 50 pieces, the Panerai Luminor 1950 Carbotech PAM00700 will cost just under $55,000. 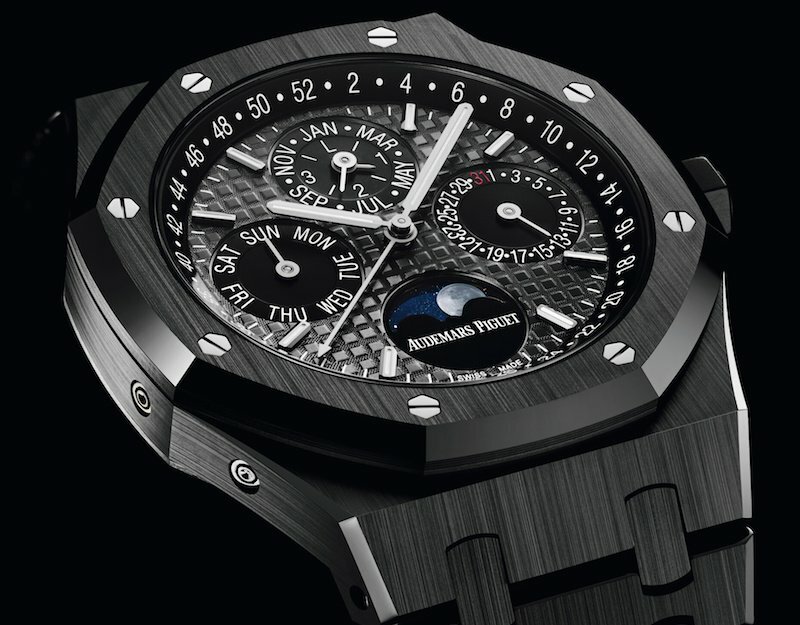 Iconic Gerald Genta designed Royal Oak? Check. Perpetual Calendar complication? Check. Black ceramic from head to toe? Check. It’s no wonder this beautiful beast from Audemars Piguet was one of the most talked about novelties to come out of SIHH 2017. Encased within the 41mm case is the Caliber 5134, which can be fully admired via the sapphire caseback. The automatic movement drives the time, day, date, month, astronomical moon, week of the year, and the leap year indication functions—all superbly displayed on the characteristic “Grande Tapisserie” designed dial. Black ceramic is a difficult material to work with but the end result is worth it. It actually takes five times longer to produce the Royal Oak bracelet in ceramic compared to a steel one. However, not only is it spectacular to look at, but it’s virtually indestructible. Impervious to scratching, thermal shocks, and high temperatures, this bad boy is going to look just as great in 50 years as it does now. Price tag? Around $85,000. 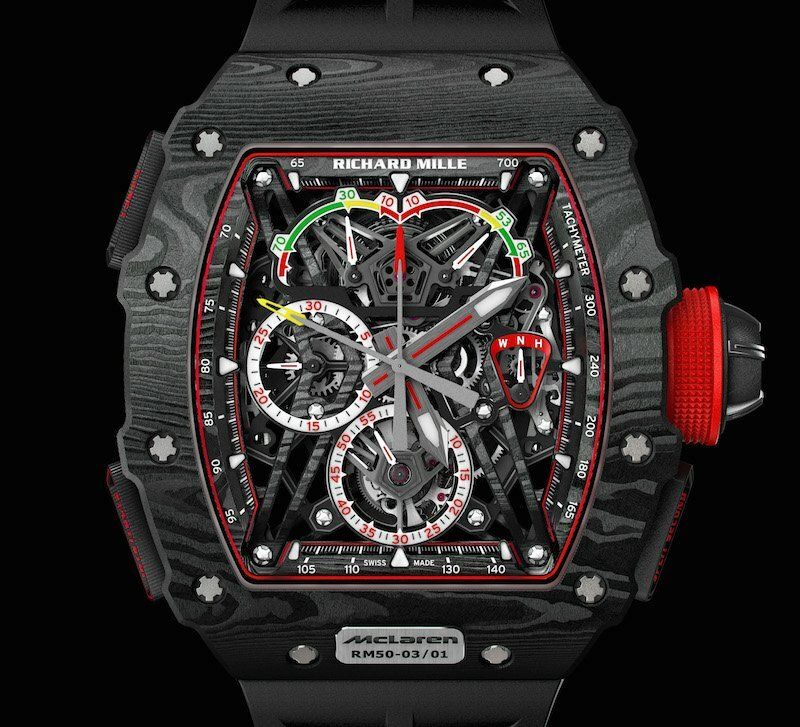 It’s hard to understand how Richard Mille continuously outdoes itself, but the Swiss independent watch company consistently unveils incredible pieces. So, this year’s offering is the world’s lightest split-seconds tourbillon chronograph weighing a paltry 40 grams—strap included. The RM 50-03 was developed in collaboration with McLaren-Honda and emphasizes the watchmaker’s promise to build racing machines for the wrist. The lightness of the RM 50-03 was possible due to a high-tech material called Graph TPT™, or graphene. A nanomaterial, Graphene both six times lighter than steel and 200 times tougher. Taking design cues from the McLaren-Honda car, the RM 50-30 includes chrono pushers that are reminiscent of the car’s air intake ducts, in addition to a crown that mimics the F1 team’s wheel rims. Priced at an eye-raising $1 million, only 75 pieces of the RM 50-03 will be available after SIHH 2017. 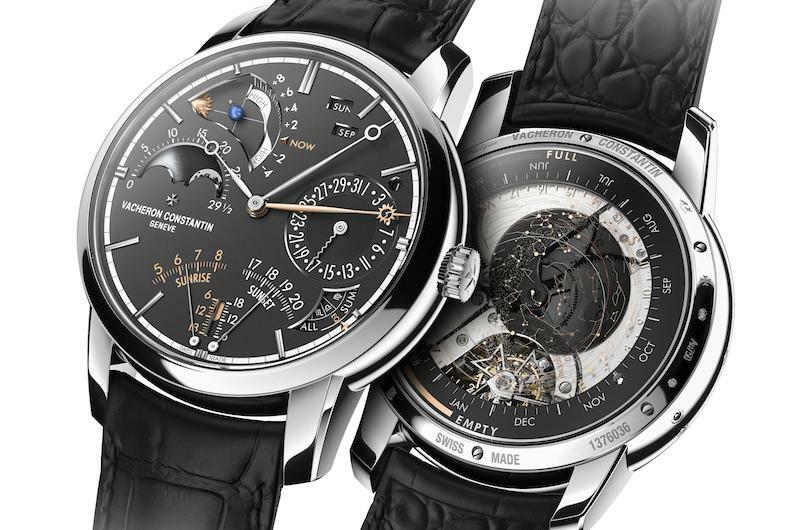 It takes a while to wrap your head around the Les Cabinotiers Celestia Astronomical Grand Complication from Vacheron Constantin. A whopping 23 complications are built into this wristwatch—both on the front and the back of the wristwatch. We won’t go into detail on each complication, but most of them are astronomical ones including celestial charts, seasons, solstices, equinoxes and zodiac signs. Furthermore, the manual-winding Caliber 3600 boasts a three-week power reserve thanks to six barrels. All of this technical mastery is housed in a 45mm white gold case. Because of the complexity of the Vacheron Constantin’s Les Cabinotiers Celestia Astronomical Grand Complication, there is only one. And it sold already for an estimated $1 million! Walking to a completely different beat than the sporty or ultra complex watches listed above, the new Drive de Cartier models are elegant and understated—and at around $16,700, a fraction of the cost. The Drive de Cartier is a new men’s collection from the Maison, having made its debut in 2016. 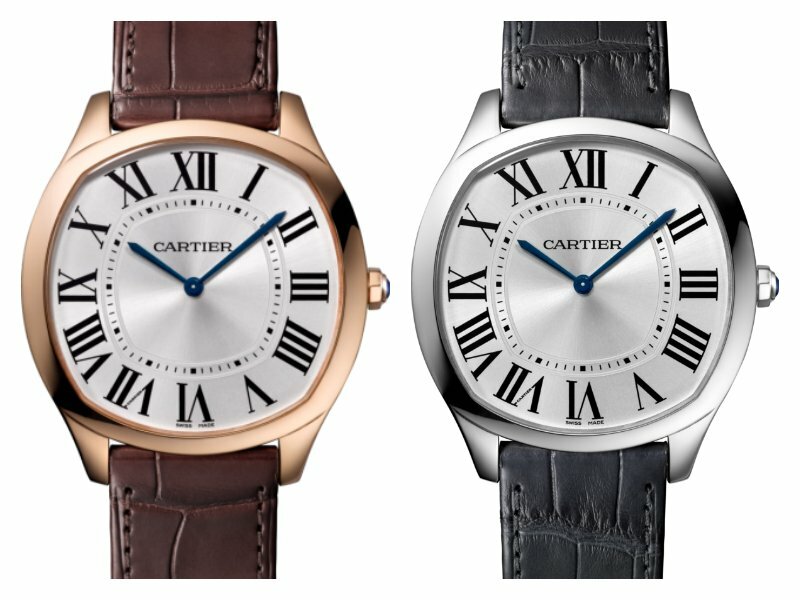 Characterized by its cushion-shaped case, blue hands, and Roman numerals, these are unmistakably Cartier. New for this year are the two Extra-Flat models. The case measures 38 mm x 39 mm and is only 6.6mm thick, making it very comfortable to wear. The Drive de Cartier Extra-Flat timepieces are available in pink gold or white gold only. In addition to the appeal of the exterior, within the Drive de Cartier is the in-house 1904 MC movement. In recent years, Cartier has taken very deliberate steps to be taken seriously as a manufacture. Thus, we now see more and more in-house calibers powering Cartier timepieces. Only 200 pieces of each of the Drive de Cartier Extra-Flat models will be available, making them even more alluring. So those were some of our favorites, but what about you? Which were your favorite new watches from SIHH 2017? Leave us a comment in the section below.